Dario Franceschini the Italian Minister of Culture has set up an internet portal for eco-conscious travelers who want to visit or get to know Italy on foot, with this portal, Italy is to focus more on slow Tourism than mass Tourism. “We want to promote Italian destinations away from international mass tourism,” Said Dario. 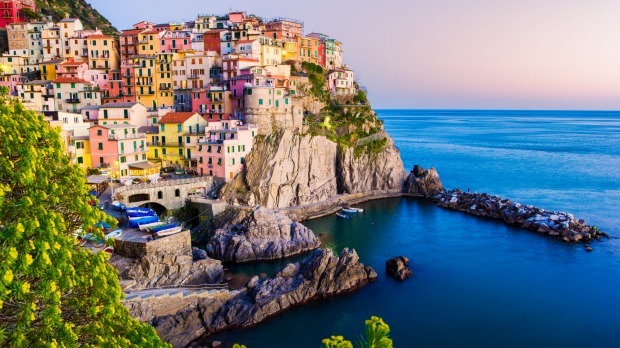 The minister added, from now on the Italian government wants to promote high-quality tourism. The exact goal is promoting more cultural offerings. Bike tourism, horse trips, as well as tours with old trains are the forms of tourism, on which Italy would like to build in the future. The Italian government has allocated part of the EU funds to smaller historic municipalities with great development potential. Among other things, Rome wanted to seek tourist promotion of an 800-kilometer network of historic railways. More than 40 long hiking trails are listed on the web portal. Frankenweg a medieval pilgrimage route from Canterbury to Rome, which is experiencing its rebirth in Italy is also listed. More and more people from all over Europe are hiking on the 2,000-kilometre route to the Eternal City. The Via Francigena, which is also part of the slow tourism movement, leads from Canterbury and then via Reims, Besancon, Lausanne, through the Aosta Valley and Siena to the burial place of the Apostles Peter and Paul in Rome. The path was one of the three major routes that led Christians to Rome, Santiago de Compostela or Jerusalem. Along the Via Francigena, considered one of the first major roads in Europe, pilgrims can admire a wealth of monuments, ruins and palaces. Seekers, power walkers or bikers come the long way. One fifth of the pilgrims are young people under 30, especially students and scouts. Italians, Spanish, Frenchmen and Englishmen are most often encountered on the Via Francigena. Many already have experience the Way of St. James in northern Spain.